Marketing schmarketing – Free comedy shows this March! Opening a comedy venue is fun, great, happy work! You get to book your favourite comedians and try to put a line-up together that you can be proud of. We’re putting every effort to make our club the funniest, most diverse room in the country. 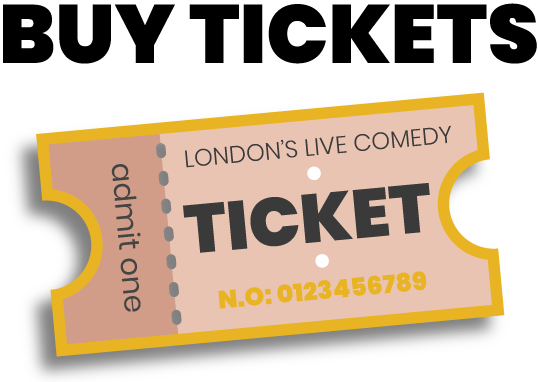 What people don’t tell you about opening a comedy venue: marketing is expensive. Most comedy fans go straight to venues to find out what’s on. Time Out’s comedy section hasn’t really been updated for a couple of years. With Facebook, Twitter and Google charging so much to reach you, we’ve done the sums, and it doesn’t add up. Why spend literally thousands of pounds on social advertising when you’re only go break even on ticket sales – it just means you can’t spend as much as you want on great acts! We experimented with opening our doors for free after a website technical error stopped tickets from being available #TeethingProblems – and we loved it. Comedy is best in front of a packed house. Therefore we’re announcing that for the rest of March, all shows programmed by us are completely free.